I made this for a friend of Struan's who is having a birthday this weekend. The Penny Black alphabet has a similar feel to the Friends font and it's so easy to use copics and crystal effects to add the colourful dots. I am anxiously awaiting delivery of my new Memento Black and Memento Luxe Black inks. I re-ink all my coloured inks, but I have never found re-inking Tuxedo Black to be very satisfactory for some reason. Susan says that the Luxe ink is wonderful (although slow-drying, which will be a challenge for me, I'm sure), so I'm looking forward to trying it. Linking up to LIM159 - Masculine challenge. LOVE this! I am a huge FRIENDS fanatic! What a perfect card! Totally love this! Am positive that Struan's friend will think this is the bomb! Love the little dots. Let us know how you like your new inks too. We can all use really good black inks! Bev : ) Have a great weekend. Memento Tuxedo Black has been my go to black ink forever! Love the Luxe too - but patience is definitely required for drying time! Another cool card that the kids will love & another incredible creation based on an inspiration photo! You never cease to amaze me, every time I come onto feedly there is another card from you and its always so very inspiring. Such a simple idea that totally works. Just perfect. I love my Memento Tuxedo Black but thanks for telling me that re-inking it isn't the best idea. 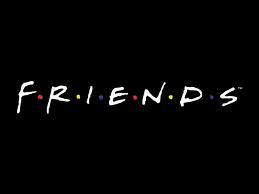 I think that alphabet is perfect for replicating the "Friends" logo. Wow! 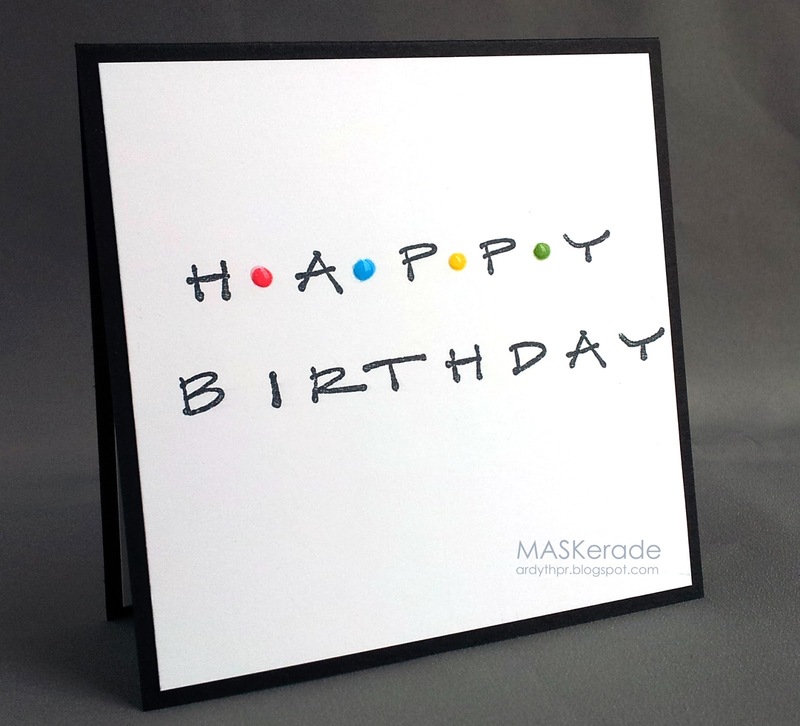 So effective, love this "Friends" card. Ardyth you totally captured the feel of the friends logo. Cute, cute card! You are one clever girl!! LOVE how Friends inspired you! What a COOL card! Beautifully done, Ardyth! This is really cool Ardyth! Wow...what a fabulous and fun card! Hahaha, I saw this earlier but couldn't comment! Awesome take on the Friends intro. I'm surprised you actually found a stamp font with this feel to it. I assumed you downloaded a font, but then I realized whose blog I was on, and knew that wouldn't be the case : ) You always do things the hard way!